A Street Fighter 5 free trial will be available to anyone who'd like to play on PS4 and PC starting tomorrow. For anyone who's yet to try out Street Fighter 5, you're in luck. 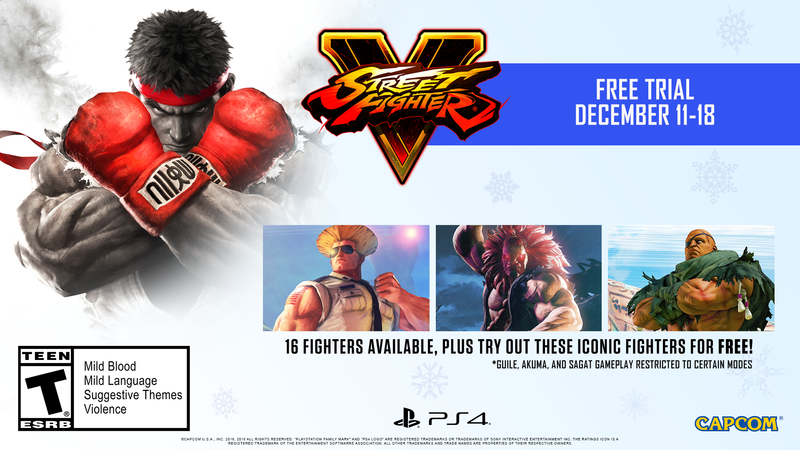 Capcom is hosting a free trial of the game that begins on December 11 at 4 PM ET, running through December 19 at 12:59 am ET. The Street Fighter 5 trial will be available on both PlayStation 4 and PC, and PlayStation Plus is not required to download and take part in the trial, but will be required to play online. For PC users, Steam is required to take part in the trial, but that's the only prerequisite. You'll get to access all content from the original Street Fighter 5 release as well as the modes in Street Fighter 5: Arcade Edition, all added for free for the duration of the trial. 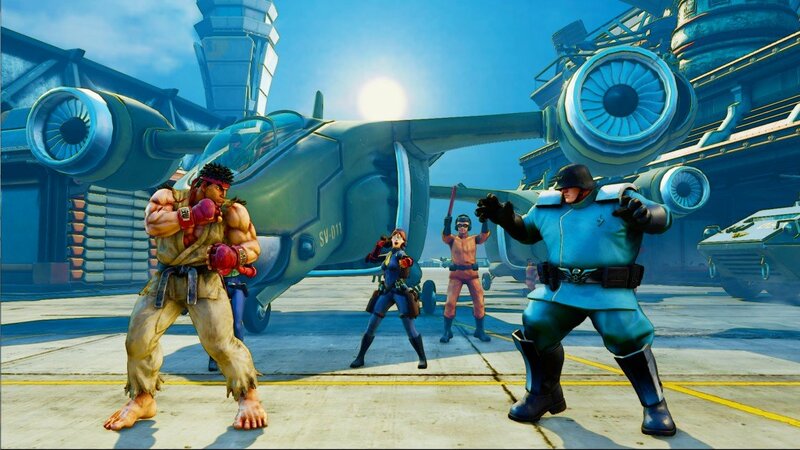 You also get the same 16 original characters that originally were included in the game in the trial, including Chun-Li, Ryu, Ken, and M. Bison as well as newer characters like Laura, Rashid, and F.A.N.G. You also get characters like Guile, Akuma, and Sagat to try out, but they're only up for grabs in Ranked, Casual, Battle Lounge, Training, and Challenges modes to play around with. In terms of modes, you get Arcade, which was first brought to fruition in Street Fighter 5: Arcade Edition and lets you defeat the computer-controlled opponents in a row to receive one of over 200 illustrations. You can opt for Versus to play against a local opponent or against the computer. Challenges offer Demonstrations and Trials to see how long you can fight within Survival Mode, and Training is pretty self-explanatory. You fight against a dummy AI while you test new combos and other moves without having to worry about being defeated in a regular match.